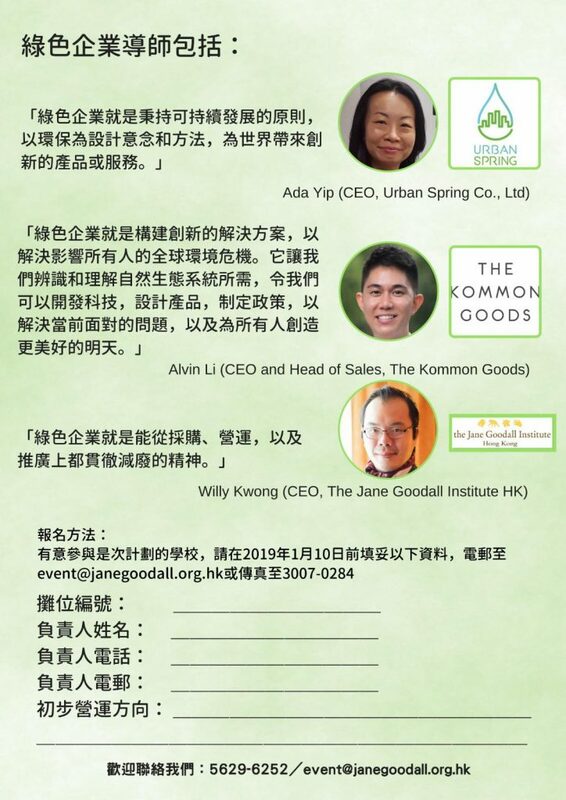 Yuen Long Green Lunar New Year Fair 2019 is being sponsored by Environment and Conservation Fund (ECF) and jointly held by the Environmental Campaign Committee (ECC), the Environmental Protection Department (EPD), the Jane Goodall Institute (Hong Kong) and Lingnan University. 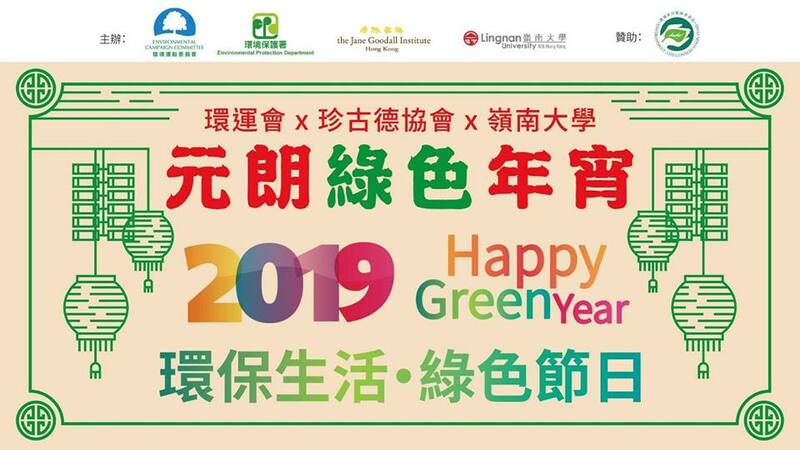 The campaign aims to promote waste reduction and incorporate green elements in the upcoming Lunar New Year Festival 2019. This year , there will be a number of green initiatives to promote waste reduction and recycling. Apart from providing environmental-friendly resources, recyclable collection stations will also be set up to collect unsold goods and leftover materials from the stall operators for on-site redistribution or donation to charities after the Lunar New Year Fair. 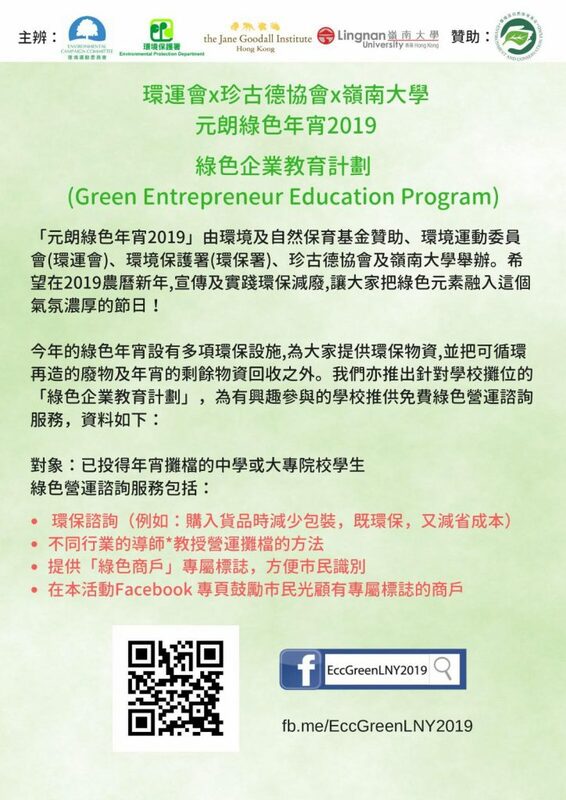 Moreover, we will also provide free business consultation to schools under the Green Entrepreneurship Programme to encourage young entrepreneurs, especially secondary and tertiary students, to incorporate green elements into their business operations for Lunar New Year Fair.